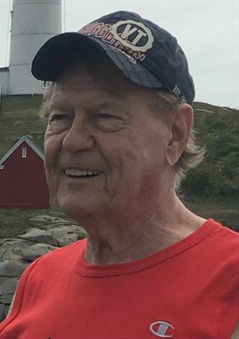 Joseph J. Chappell Jr., 81 of Milford, passed away July 6, 2017 at the University of Massachusetts Medical Center in Worcester. He is the husband of Doris E. (Bachand) Chappell for 62 years. He was born in Milford, son of the late Joseph Chappell Sr. and Ida (Robbins) Chappell and was a lifelong Milford resident. He was a graduate of the Milford High School class of 1954. Mr. Chappell was employed as a machinist and also worked with hydraulics in the Milford area. He was a communicant of the St. Mary of the Assumption Church and a member of the Nipmuc Rod and Gun Club in Milford. In addition to his wife he is survived by his children, Cindy A. and her husband Jay Labadini of Bedford NH, Susan M. Foley and her fiancée, Paul Jankowski of Woburn, Debbie J. and her husband Gary Parnell of Webster, Judy F. and her husband Darrell Lawton of Sneads Ferry NC, one brother Ted Chappell of Phoenix AZ, one sister Linda MacNeil of Bellingham, eleven grandchildren, five great-grandchildren, many nieces and nephews. The funeral will be held Monday, July 10, 2017 at 9 A.M. from the Consigli-Ruggerio Funeral Home 46 Water St. Milford MA. A mass of Christian burial will be celebrated at 10 A.M. at the St. Mary of the Assumption Church on Winter St. The burial will follow in the parish cemetery. To my family, especially aunty I am terribly saddened by our loss uncle Joe was as real as they come. Thank God for our time with him, and know he will forever be a part of all of us, he will continue watching over us and he will say hello to all who have ventured away. Until we meet again uncle, May God bless us with a reservation to meet again. Peace!